We’re a team of web design experts in Brighton who specialise in Sitefinity development. 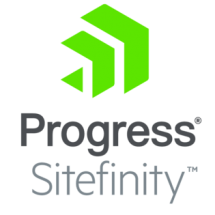 We’ve been developing in the Sitefinity platform for many years, and rate it as one of the best platforms we’ve come across. Our certified Sitefinity developers are ready to tackle even the most complex projects, so if you’re looking to hire a Sitefinity developer then get in touch today to find out how we can help you. The feature our clients most love is this one. It allows them to easily create their own custom layouts for content without breaking the brand guidelines and design structure painstakingly set out by the designers when the site is built. This gives them real freedom, saves time and money, as well as removes the feeling of being permanently reliant on developers to control their site. Featuring all the usual goodies such as multi store multi-currency products, inventory management, customer targeting etc., the real bonus is that this comes as part of the Sitefinity core product. The point here is that this allows organisations to have a single platform delivering enterprise level CMS functionality, integrated directly with their eCommerce system. Most eCommerce systems don’t come close to offering this same level of content management ability. Whether it’s a new Sitefinity development, or an existing project you need help with, give us a call today for an informal chat about how we can help.